We welcome John Speakman and Stanley Ulijaszek for a talk on “Two complementary views of the evolutionary basis for the obesity epidemic: genetics and developmentalism”. Thorkild I. 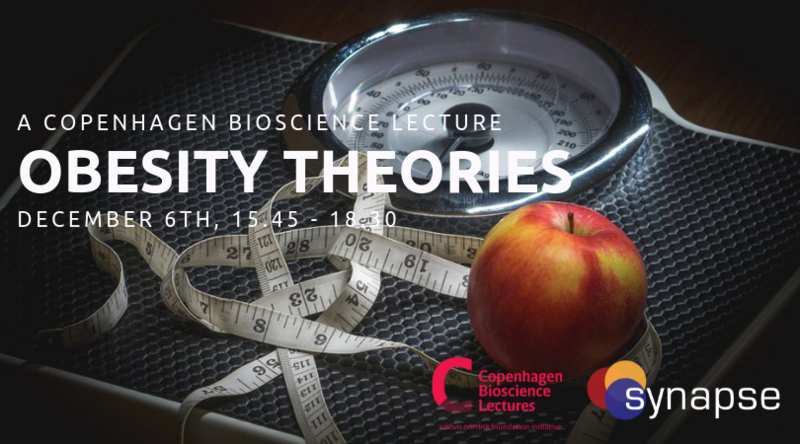 A. Sørensen , Professor of genetic and metabolic epidemiology at the Novo Nordisk Foundation Center for Basic Metabolic Research and at the Department of Public Health, Faculty of Health and Medical Sciences, University of Copenhagen, is moderator. John Speakman obtained his PhD at the University of Stirling, Scotland in 1984 and immediately afterwards went to the University of Aberdeen, Scotland, where he was successively as a lecturer, senior lecturer, reader and ultimately made Professor in 1997 (aged 39). Between 2007 and 2011 he was Director of the Institute of Biological and Environmental Sciences. In 2011 he took up a position as a 1000 Talents ‘A’ professor at the Chinese Academy of Sciences Institute of Genetics and Developmental Biology in Beijing. His research primarily concerns the causes and consequences of inter-individual variation in energy expenditure. He has published over 500 peer reviewed scientific papers, including 11 times in Nature and Science and twice on the cover of Nature. He has been awarded several international prizes including the Zoological Society of London scientific medal, and the Royal Society of Edinburgh/Saltire Society Scottish Science Medal. In 2016 he was the first Briton to be awarded the Chinese Academy of Sciences prize for international co-operation. In 2018 he was elected a Fellow of the Royal Society (FRS). He is on the board of reviewing editors at Science. Stanley Ulijaszek (1954) is Professor of Human Ecology and Director, Unit for Biocultural Variation and Obesity, within the School of Anthropology, University of Oxford (1999). Trained in Biochemistry at the University of Manchester and Nutrition at King’s College London, his first academic position in 1986 was in the then new field of Nutritional Anthropology in the Department of Biological Anthropology, University of Cambridge. He presently conducts multidisciplinary research in two related fields. The first is the political ecology of nutrition and obesity globally, using anthropological, life history, epidemiological, and economic historical frameworks. The second is nutrition in evolution and evolutionary medicine. Both involve increasing understandings obesity as a complex phenomenon. Past work on obesity includes the welfare regime hypothesis of obesity causation; impacts of inequality and social status on obesity production; energetics and reproductive function; the effects of economic modernisation on obesity and chronic disease; and mechanisms of physiological and nutritional adaptation, including growth and development. 18:30 Thank you for a splendid end of day! Registration is completely free of charge, but mandatory. Deadline for registration on December 3, 2018.